Closeouts. Oh, the fun your little dude will have in Teva’s Jansen sport sandals. Featuring a partially open design, these babies allow water to escape but keep little feet protected from heel to toe. 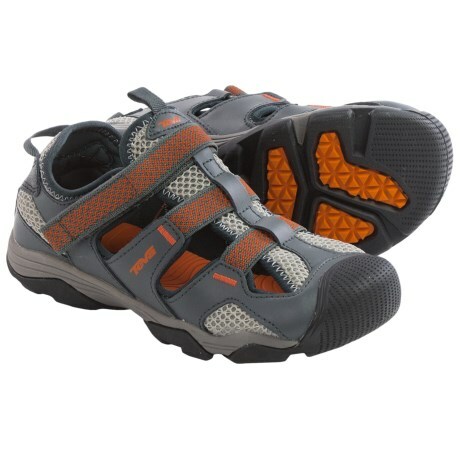 Three elastic instep straps secure the foot, and adjust with a touch-fasten tab.